What is so important about edges? As watercolor artists, and artists in general, we paint our paintings through the creation of different edge shapes. In this article I will talk about the watercolor techniques that will produce these edges and how to use them to create our watercolor paintings. The examples I give are all made with a round watercolor brush but most can also be produced with other types of watercolor brushes with practice. What are these edges that we talk about when watercolor painting and how do you produce them. These edges are known by different names and one or two I will mention probably don’t have a name so I will try and give them one. Here are some of their common terms: Wet on Wet or Wet in Wet, Wet on Dry, Dry Brush or Broken Edge. These are good general terms but also quite limiting so I will expand on a couple of them a little to show their true value to the water color artist. I have found that watercolor paintings that appeal to me all seem to have the full variety of these edges. 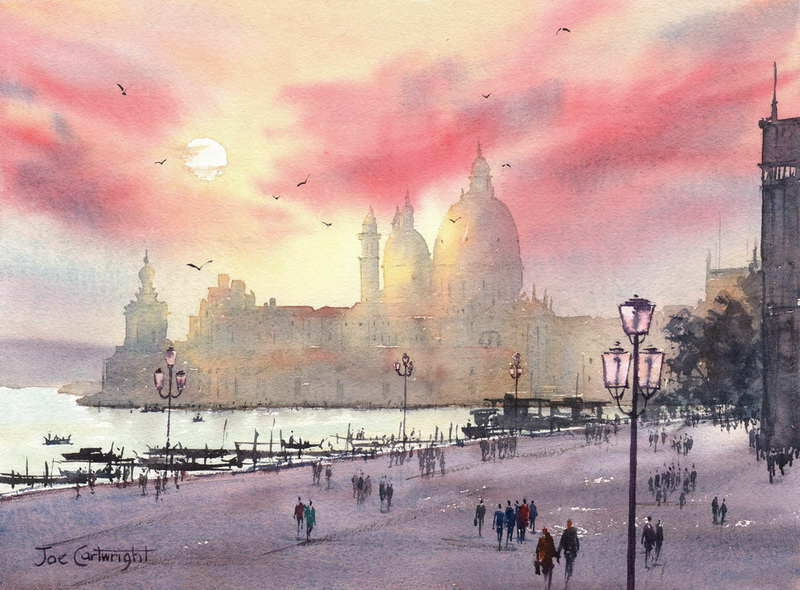 If you have a painting which only has sharp edges it can lack subtlety, if everything is made up of soft indistinct edges it can lack direction or a message so, as edges can be considered part of the vocabulary of watercolor painting, then the more edge variety the more rich will be our paintings. So let us now look at each of these watercolor edge types in turn.